The Church Hall stood at the top of Chesterfield Road, Swallownest, on the site now occupied by the Swallownest Nursing Home. It was opened sometime (I think) in the 1920’s and, for many years, was the centre of Church social activities. It also housed the Children’s Clinic for many years and was used during the periods of rationing for the distribution of new ration books. 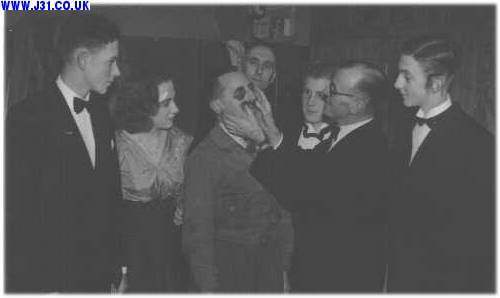 It was particularly busy during the Second World War when the nearby Miners’ Welfare Hall was commandeered as an emergency first aid centre. Regular dances were held there, concerts given by visiting concert parties and the stage was also used by amateur drama groups including Aston Church Players (run by Billie Oates, one of the Church wardens) and the Swallownest Dramatic Society (run by William Bailey, a teacher at Swallownest School). 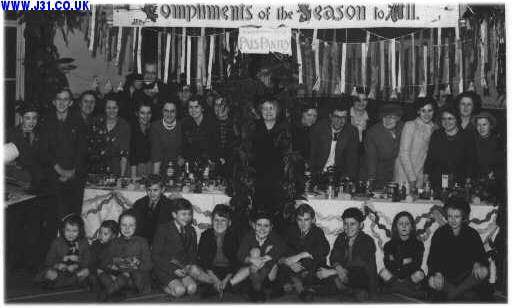 In the 1950’s and 60’s, there was a thriving Church Youth Club there, led by the Swallownest Postmaster, Norman Walker and the Hall was also used for Church Socials, Christmas Fairs, Choir and other parties and for more serious events such as Church Council and Mothers’ Union meetings. Sadly, the Hall started to suffer from structural damage, mainly due to probelms with parts of its foundations. It was sold to an engineering firm which was desperate for premises to market its product, a wing mirror which doubled as a radio aerial. The firm eventually ceased trading and the building was demolished. 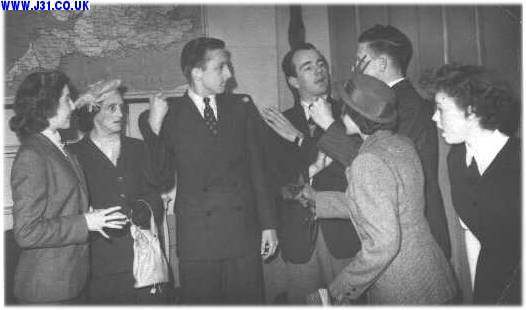 The following photographs illustrate some of the Hall’s activities with names of people given as far as they can be recalled. Any additonal names (or corrections) would be welcomed. L-R (standing): Mr Pearson, Elsie Renshaw, Gladys Walker, Frances Radford, Cedric Glover, ? James, ??? ?, Rev Japing, ? James, ??? ?, Michael Petty, Barry Sampson, Cyril Layne, Brian Palmer, ??? ?, Sheila Turtle, ??? ?, Jon Layne, Pat Walker, Margaret Oates, ???? 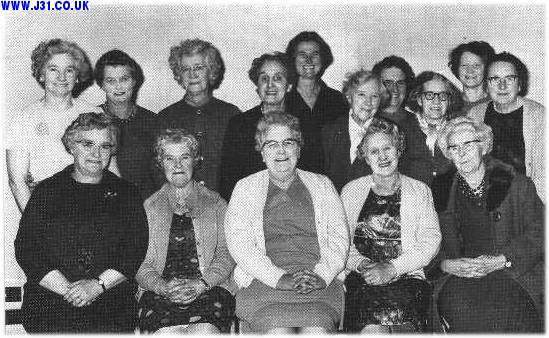 L-R seated: Mary Hawkes, Mary Radford, Mary (Mollie) Layne, Belva Dodds, Ann Radford, ??? ?, ??? 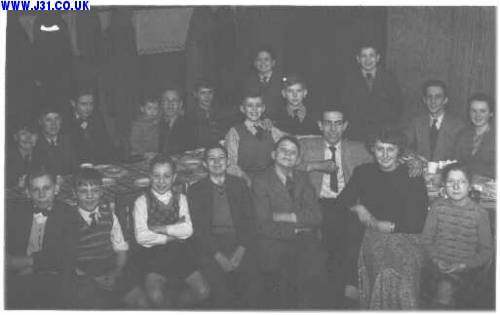 ?, Joyce Turner, Norman Walker (youth club leader and Swallownest Postmaster), Jim Renshaw, Geoff Lunn, ??? ?, ???? L-R front: Trevor Thacker, ??? ?, ??? ?, ??? ?, ??? ?, Keith Sampson, Nevill Simons, Mary Hawkes, ???? Left-Right, standing:???? ; Jon Layne; Mary (Mollie) Layne, Elenor Rawlings-Smith; Margaret Oates; Joan Proctor; ???? ; Frances Taylor; Mrs Bolsover; Mrs Clarke; ???? ; Frances Radford; Mrs Rawlings-Smith; ???? ; ???? ; Sheila Turtle; ???? L-R seated: Mesdames Radford. ??? ?, ??? ?, Layne' ???? 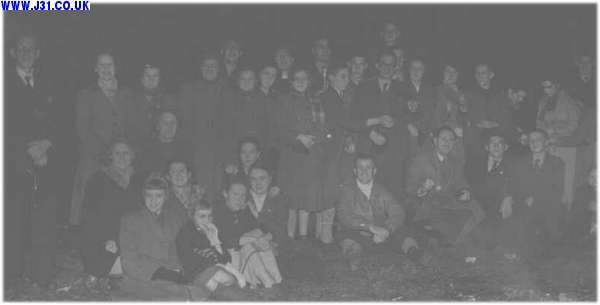 Above: Drama Production at Swallownest Church Hall, early 1950s, the Aston Church Players.